Also nearby are George R. Brown Convention Center, NASA Johnson Space Center and Downtown Aquarium as well as Tanger Outlet Houston and more. Amenities that add to your value and set us apart from other hotels near Houston Hobby Airport include free wifi, a free outdoor pool and a useful business center. In your room, expect an expanded cable television package, plenty of outlets for charging your devices and a microwave, fridge, coffee maker, iron with ironing board and hair dryer. We offer options in accommodations designed with every kind of business or pleasure traveler. Full kitchens are available in our suites, which are perfect for extended stays in Houston. Snacks are available for purchase at our snack counter so you don’t have to leave just for a bite to eat, and pets always stay free at this Red Roof Inn. Another amenity we offer that you won’t find elsewhere is a commitment to excellence that’s unique to the Red Roof Inn brand. We employ hospitality professionals who do their best for every guest, every time, making sure that your stay meets you standards and exceeds our goals. Because we have such a great team, a convenient location and low, fair rates, we have many repeat guests – and we hope you will soon be among them. Please reserve a room at Red Roof Inn & Suites Houston – Hobby Airport now. We look forward to meeting you. Business Travel :We’re your smartest business option. 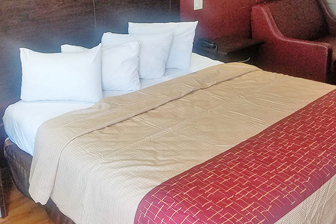 For business travel, the right motel in Houston, Texas is this Red Roof Inn, proud to be the best of the hotels near Houston Hobby Airport and more. Our place to stay is designed from the bottom up to accommodate every kind of traveler, including business travelers. Everything about our respected pick of single night or extended stay hotels near Houston Hobby Airport add up to an excellent experience for any kind of traveler, so stay with us with complete confidence. All you have to do is remember to reserve your room right away so you can be sure you get what you want at the time you’ll be here. Family Travel : We’re a great selection for your family. For family adventures, we hope you will consider this Red Roof Inn, the top pick in Houston Hobby Airport pet-friendly hotels that travelers can trust for unmatched comfort, quality and affordability. Select us when looking for a value-minded option in hotels near Houston Zoo and Aquarium or perhaps a hotels near GRBCC Texas. In fact, no matter why you’re traveling in this area with your family, you can expect a great experience that will make you want to come again. Put aside other places to stay and make us your first and best. It’s decision that will prove itself to you right away. Affordable Choice : We’re an affordable place to stay for any kind of traveler. For budget-priced hotels in Houston, Texas, no property makes more sense than ours. Our option in HOU Hobby Airport hotels is known for great rates. And no matter what you need, we’re here for you. 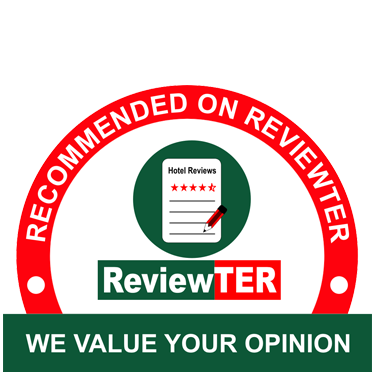 This place to stay is also respected for comfort and convenience, and we certainly won’t let you down. Stay with us for a sensible hotel stay that’s in the right place too. When you stay just once, you may find that we’re the best hotel for your future needs as well. Our purpose in being here is for you, and we take serving you very seriously. Comfortable Stay : We’re a comfortable selection of University of Houston hotels nearby so many other places of interest. 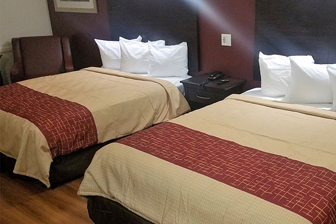 For the most pleasant stay you’ll get from any of the hotels next to Houston Airport, turn with confidence to this Red Roof Inn. It’s an intelligent decision you won’t regret because it will lead to a great night’s sleep and a beautiful morning everytime. Our pick of single night or extended stay hotels in Houston, Texas is near so much and is a cut about some others in the area because we offer excellent bedding and in-room amenities you’ll like – including free wifi and expanded cable. So put aside all thoughts of staying somewhere else. Houston Museum of Natural Science offers exhibits that every member of the family can enjoy – and the admission price is reasonable. Discovery Green is a modern Houston park with restaurants, playgrounds and so much more for visitors and locals alike. Kemah Boardwalk is an old-fashioned waterfront boardwalk unlike anything else in Texas – and it deserves your visit. The Houston Arboretum and Nature Center has trails and activities in a natural setting that seems far away from the Houston hustle and bustle. When you’re seeking hotels near GRBCC Texas, we’re waiting with a pleasant and affordable stay at this Red Roof Inn. But in addition to being close to William P. Hobby Airport, the convention center and the zoo and aquarium, we’re also within 10 miles of Memorial Hermann Southeast Hospital, University of Houston, Almeda Mall and Ellington Field Joint Reserve Base. This website is owned and maintained by Red Roof Inn and Suites Houston Hobby Airport a licensed user of certain proprietary trademarks and service marks of RRI, Inc.